It feels like just yesterday that we were praising Vogue Arabia’s debut cover starring Gigi Hadid and now it’s celebrating its one-year anniversary with the new March 2018 issue. 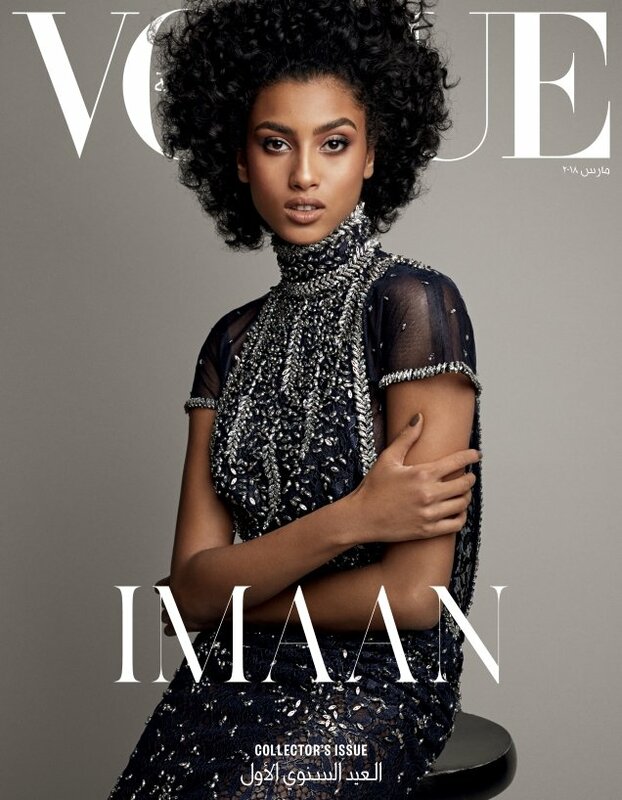 As expected, the magazine has gone all-out to impress with a series of covers starring modeling legend Iman and current It model Imaan Hammam (her second cover for the publication). The pair poses together and separately for three striking covers shot by photographer Patrick Demarchelier. The issue can’t hit newsstands quick enough. “Great casting! Imaan Hammam is really one of the great beauties of this generation! 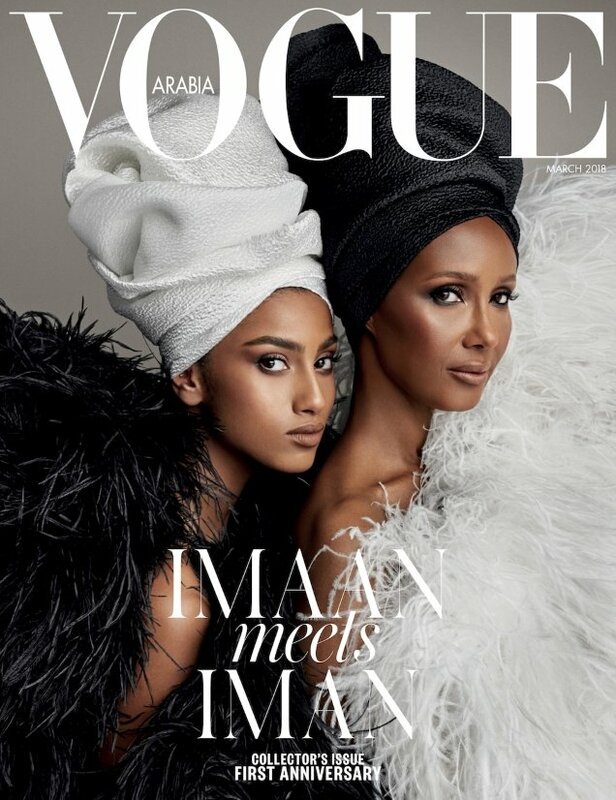 I don’t even think it’s just to put her next to Iman, who is on a different level modeling wise. The cover looks simple, yet so chic. Love the monochrome styling and headgear!” Benn98 approved at once. “Fabulous! Exuberance, beauty and Saint Laurent used right,” cheered dodencebt. “What a gorgeous cover, and perfect duo! The new EIC is really doing a great job, and striking a good balance between international models, and Arab women, he features on the covers,” approved a delighted Miss Dalloway. Marc10 couldn’t have agreed more. “Oh my god this is too freaking fabulous. What a pairing! Vogue Arabia has really been doing a great job,” he applauded. “Oh I love this! It’s clever and beautiful. Well done,” an equally impressed Moofins chimed in. “Haven’t seen such a strong, vogueish Vogue cover like this in such a long long long time. Never thought Vogue Arabia and Patrick would be the ones delivering such dreamy imagery. And so thoughtful as well, being culturally relevant to their demographic with the styling,” raved Phuel. “ICONIC. BREATHTAKING. QUEENS. This is everything, such a beautiful cover!” heralded marsnoop2. KissMiss described the covers as “exquisite” and we couldn’t agree more. Await more from the issue (here’s to hoping for even more Iman and Imaan) and join the conversation here.